Glamorgan (formerly Kite) - Jemima's Pitchfork 4.50 Pale gold. Heavy pepper and citrus. Diacetyl. 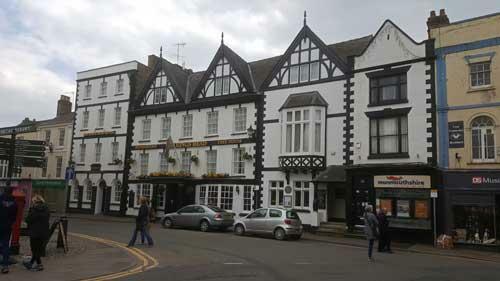 The pub is found in Monmouth, Gwent, NP25 3DY. 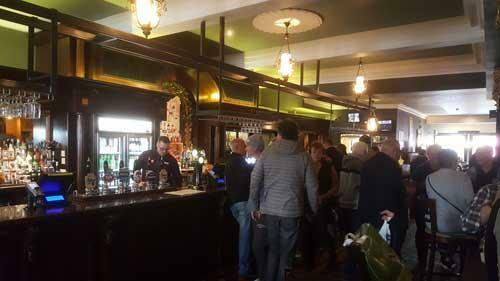 In Agincourt Square, a 17th century hotel refurbished by Wetherspoon and retaining many of its original features such as ceilings and fireplaces.